Provide comfort for the family of Tina M. Shichtel with a meaningful gesture of sympathy. 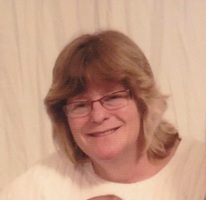 Tina M. Schichtel, of Beatrice Ave., Buffalo, died Saturday January 26, 2019 in Sisters Hospital, Buffalo at the age of 57. She was born February 26, 1961 in Springville, New York a daughter of the late Lloyd G. and Bernice (nee Mattice) Linde. She was a 1979 graduate of Springville Griffith Institute and was a mental health therapy aide at the Buffalo Psychiatric Center. She loved being a grandma and was very active in her grandchildren's lives. 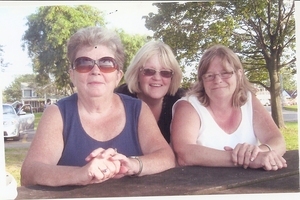 She is survived by her daughters - Tonya (Matthew) Greene of Sumter, SC and Tina (James) Geffers of Pendleton; grandchildren - Jaden, Bria, Peyton, Kaden and Kiley; sisters - Cathie (Donald) Northrup of Binghamton, Linda (Charlie) Munro of Collins Center, Margaret Solari of East Concord; and several nieces and nephews. She was preceded in death by her parents and siblings - William Linde, Betty George, Dalton Linde and Arlene Linde. Friends may call Thursday January 31, 2019 from 11 am - 1 pm at Smith-Weismantel Funeral Home, 271 E. Main St., Springville, where funeral services will follow at 1 pm. We encourage you to share your most beloved memories of Tina M. here, so that the family and other loved ones can always see it. You can upload cherished photographs, or share your favorite stories, and can even comment on those shared by others. I am so sorry to hear of your passing. May God Bless your family and all of your loved ones during this sad time. You will be missed. Your friend. Shelia Williams. My deepest sympathies to the entire Schichtel family. Tina you will be truly missed. RIP my friend.